Have you ever taken something one step further than planned, and in doing so opened up the possibility for an entirely new and unanticipated take on the world? So here I find myself, as part of my NIGP investigation into the reported avarice of its CEO Rick Grimm, looking into the financials of nonprofit organizations. By the way, for those of you who are just picking-up on the NIGP story as a result of this post, and wondering why I am checking out nonprofit executive compensation packages, it is all part of the NIGP #CodeGate scandal. #CodeGate began when eProcurement vendor Periscope teamed up with the NIGP to protest Missouri’s decision to go with Persiscope’s competitor Perfect Commerce, by threatening to pull the latter’s license to use the NIGP Code in support of the contract. It is an important story because it has significant implications regarding the future of public sector procurement. Rick Grimm became a target because of his longstanding relationship with Periscope – the details of which you can read about in this blog’s NIGP #CodeGate Section. This is the reason why his compensation has became an issue. Returning to today’s post, the basis for the investigation was to confirm if, as numerous anonymous sources suggested, Grimm’s compensation was in fact out of line with the pay of other nonprofit CEOs, both within and external to the procurement industry. My findings, which you can read about starting with my April 30th post “When It Comes To The NIGP, Just Follow The Money Mr. Hansen . . . Follow The Money”, would certainly suggest that Grimm’s compensation is considerably higher than those of his counterparts. Said concerns about his “earnings” aren’t alleviated by the fact that the NIGP has still not responded to my request for clarification regarding his expense account – which some sources have indicated is excessive. The controversy surrounding Grimm’s pay is further fueled by the fact that it appears to be out of line with the pay of executives working for other nonprofit associations within the procurement industry, such as ISM. Check out my May 4th post In A Quest For Context, NIGP and ISM Comparison Raise Very Interesting Questions. All this being said, Grimm might be able to justify – at least in part – his pay, based on the fact that unlike ISM and CIPS, the NIGP has made money these past three years, while the others have been somewhat awash in red ink. This then raises the question, if you have a CEO who’s organization is one of the only ones making money why, in an attempt to oust him, would you make his compensation an issue? This I believe is a major error or miscalculation, especially after reviewing the 990 Returns for the Council of Supply Chain Management Professionals “CSCMP”. Going as far back as 2007, and with the exception of all but 2 years, the CSCMP has also bled a considerable amount of money annually, losing as much as $688K in 2008. 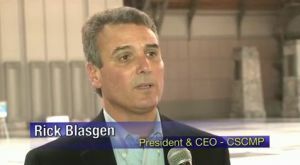 Despite the consistently dismal financial performance their CEO, Rick D. Blasgen, has received compensation that has ranged between a low of $312,789 in 2009 (when CSCMP lost $560K), to a high of $451,075 in 2011 (when the CSCMP only lost $65,087). The fact that the CSCMP’s gross annual receipts are within the same ballpark as the NIGP’s, when compared to Blasgen’s haul, it almost makes Grimm look like an underachiever in the pay department. Yet no one is calling for Blasgen’s head? Why? Because Grimm crossed the line when he sided with Perisocpe in their challenge of the Missouri Perfect Commerce Award. After all, who can guarantee that the Periscope/NIGP tandem won’t challenge a contract loss in the future by threatening to pull the winning vendor’s license to use the all important NIGP Code? However, and in their efforts to remove Grimm by playing the compensation card, an even bigger story may be emerging on the near horizon. Specifically, has some of the industry’s associations become the personal banks for its leadership and, will this result in more deals such as the one between the NIGP and Periscope being made? Ponder this last point for a few moments. When you have, then consider that any enterprise – a nonprofit or otherwise, cannot continue to exist indefinitely when its expenses exceed its revenues . 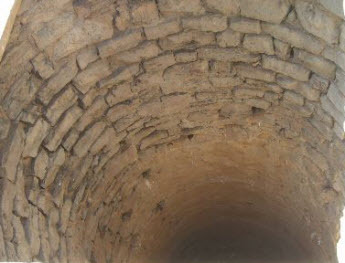 . . nor can a CEO continue to draw water from a dry well. Jon, this series continues to be both interesting and illuminating. I think the question is, how many years can an organization (not-for-profit or otherwise) continue to lose a significant amount of money and stay in operation? As an FYI, remember I was trying to recall which two associations recently merged? It was APICS and Supply Chain Council in April of 2014 (link below). In the announcement, they mention the operational efficiencies to be gained through their union. What you’ve learned about the other associations makes me think this was a far stronger reason than its inclusion as the last bullet point in the press release would otherwise suggest. Interesting that you bring up APICS Kelly. In looking at their 990 Return for 2009, even though they lost $1.7 mil on approximately $18 million of gross receipts (by the way, the previous year they lost a whopping $4.4 million), CEO Abe Eshkenazi, CSCP, CPA, CAE was paid $367K. Another interesting point (and to be fair) . . . while there have been profitable years, their membership numbers dropped from 45,200 in 2006 to a low of 33,732 in 2009, rebounding slightly to 36,769 in 2013. Why the significant drop in membership of 10,000? Is there is a growing creditability problem relative to the nonprofit association model in the procurement world?